Now available on the download page! After 15 long years (and a little bit too late for easter), there’s finally a new major release version of Mirror Magic available! 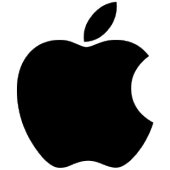 There are not many new features and changes to the game itself, as the main goal of this release is to keep the game playable on modern systems, and there is finally also support for Mac and Android systems. 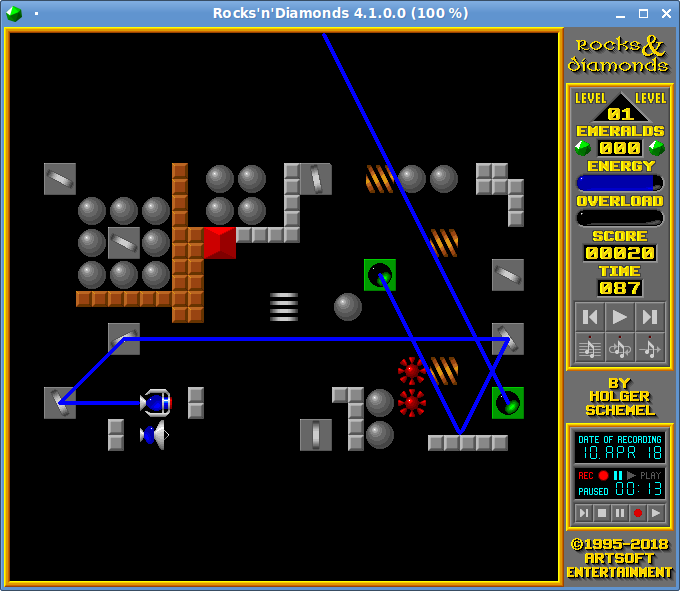 This was all done by integrating the classic Mirror Magic game engine into the game Rocks’n’Diamonds as a new custom game engine, therefore using R’n’D as the new technical platform for this and any future release. 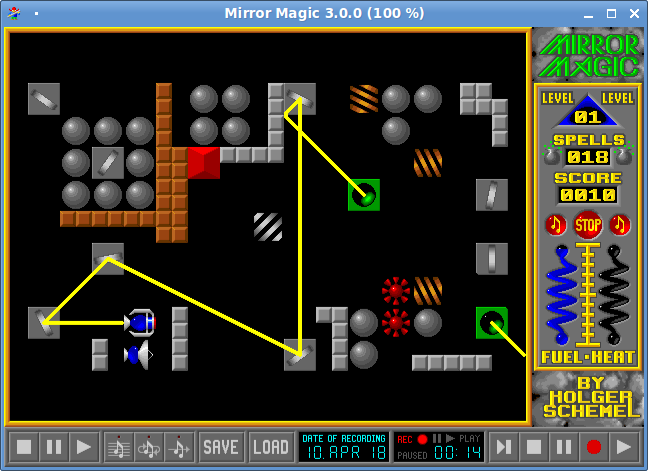 This new major release of Mirror Magic is also a great example of how Rocks’n’Diamonds can be configured and customized to run as a different, stand-alone game (even though it is in fact just R’n’D with different levels and changed default artwork). 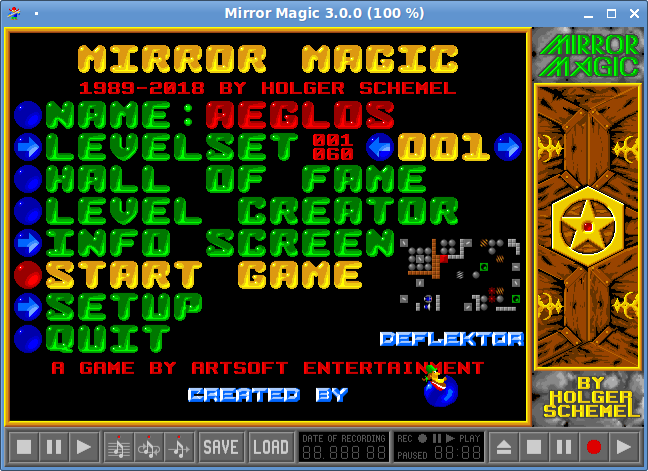 Besides support for new platforms, Mirror Magic now also offers new features already known from R’n’D like scalable window size and fullscreen mode, and solution tapes were added to the included level sets “Deflektor” and “Mindbender”. Important update for Windows users (2018-04-11): The original 3.0.0 game packages for Windows contained a wrong executable that does not include a fix for a bug that occurs when playing levels of the set “Deflektor” using a joystick or the keyboard. 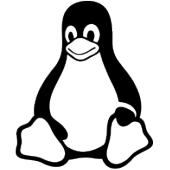 The Windows packages have been fixed and can be downloaded again. Now available on the Mirror Magic page! 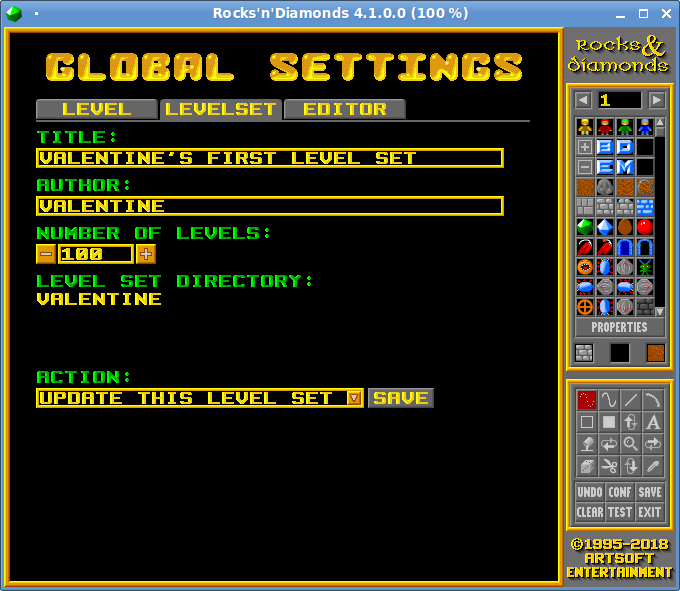 After more than one year of work, a new major release of Rocks’n’Diamonds is finally available! 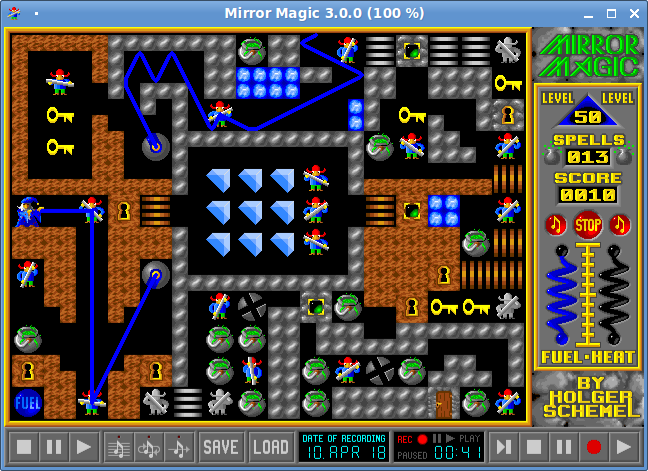 The most significant improvement is the integration of the Mirror Magic game engine. While the new game engine itself might not be the most awaited change, it is complemented by some additional functionality that makes it easily possible to create your own stand-alone games from your level sets. This is demonstrated by the release of the new version of Mirror Magic, which is in fact a customized version of Rocks’n’Diamonds with different levels and changed default artwork (also see the following news post). Another new feature is the new configuration tab “level set” on the level configuration page of the built-in level editor, which makes it extremely easy to create new level sets, but also to update the level set title, the level set author name or the number of levels for existing level sets, all directly from within the level editor. 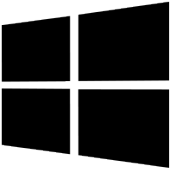 Important update for Windows users (2018-04-11): The original 4.1.0.0 game packages for Windows contained a wrong executable that does not include a fix for a bug in the Mirror Magic game engine. 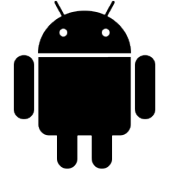 The Windows packages have been fixed and can be downloaded again.